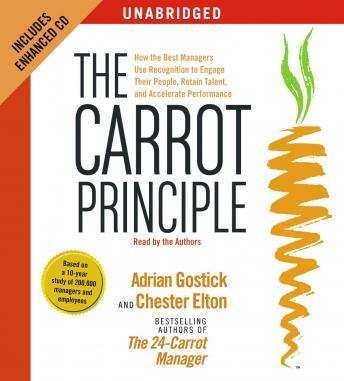 This exceptional program, sure to become a modern-day classic, presents the simple steps to becoming a Carrot Principle manager and to building a recognition culture in your organization. Following these simple steps will make you a high performance leader and take your team to a new level of achievement. Boy was this weird. Not informative at all. Hoped to learn something and didn't at all.